Ugandans have been feeding on Bananas (matooke) for so many years. According to estimates, over 10million tonnes are produced every year. It is also estimated that at least 10million people feed on bananas as their main food in Uganda and many more feed on it across the region. However, there is a lot of wastage of the banana. Experts say that for many years, the fact that the banana was only eaten as a direct food meant that a lot of it was wasted. This is what the president wanted to stop when he set up the Presidential Initiative on Banana Industrial Development (PIBID). His aim was to help the banana sector turn the banana into a more valued food-by processing it into other products. When PIBID was set up in 2005, the President of the Republic of Uganda was named as the patron of the body. It is governed by a Board and Management Committee. Other major collaborators include professionals, private and public sectors and farmers. The group’s main areas of focus are Value addition & Quality control operations, Marketing & Rural enterprise debt, Production. The Vision of PIBID is to establish state-of-the-art banana processing enterprises in Uganda, producing value-added matooke products with competitive market strength both locally and globally, manned by rural farmers/ entrepreneurs. Process/ product technology transfer and commercialization. 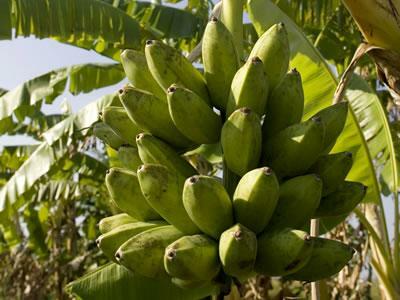 To facilitate the development of state-of-the-art banana-based sustainable processing enterprises, applying Technology Business Incubator (TBI) and Industrial Technology Park (ITP) system principles to help farmers/ entrepreneurs, and to sustainably add value to matooke to yield profitable and competitive products. The group envisages that by adding value to bananas and storing them for much longer, the farmers who have been making losses whenever there is a bumper harvest will be able to save their harvest. In its seven years of operation, PIBID has registered remarkable success. Among these is the fact that they have now successfully created a Matooke brand, not only in the region, but also across the world called, ‘Tooke’. ‘Tooke’ is the brand name for a range of products developed as part of Uganda's Presidential Initiative on Banana Industrial Development (PIBID), established in 2005 as a pilot project to develop and commercialise banana flour. The flour, which has been tested against international quality standards in Germany and France, is now being promoted throughout Uganda and is being used in bread, cakes, biscuits and other processed products, including baby food. It is hoped that ‘Tooke’ products will also prove successful in export markets. PIBID has also managed to set up a processing factory, based in Bushenyi from where the processing of the bananas and general research is carried out. The factory in Nyaruzinga is also used to train farmers from the region on the banana value addition. They have an office in Kampala, in Nakasero.